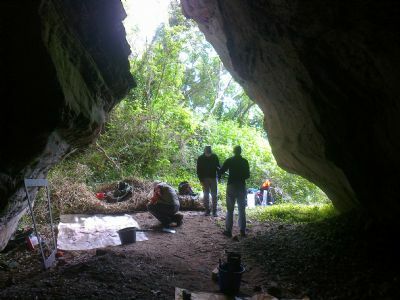 Between 2011 and 2015, the Rosemarkie Caves Project undertook a the programme of fieldwork aimed at establishing a baseline record of the caves and assessing the archaeological potential of surviving deposits in the caves. This work was supported by a programme of radiocarbon dating. The end result of this phase of work was to inform the need for future excavation. 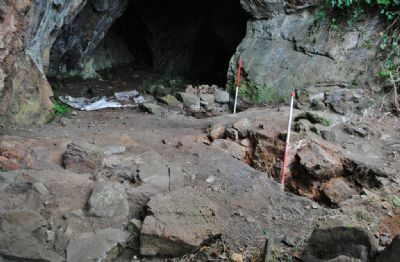 The results of the test pitting provided consistent evidence for occupation during the 7th-9th centuries AD, with evidence for 2nd-4th century occupation in one cave and evidence for 11th-12th century occupation in another cave. Much later occupation during the late 19th-20th century occupation was shown in several of the caves. See a blog post on the Rosemarkie Caves Project here.